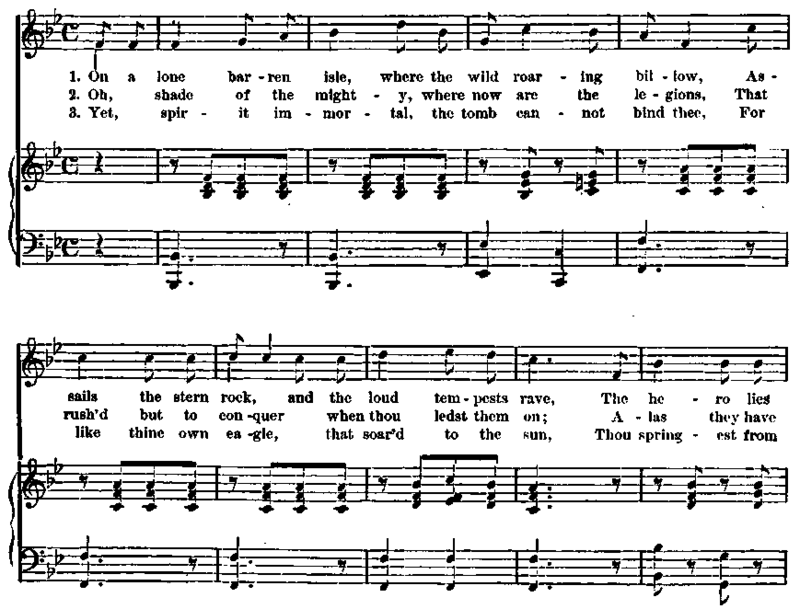 Henry S. Washburn, who wrote the words of this song, is a native of Plymouth, Mass. He was educated at Brown University, and went into business in Worcester, and afterwards at East Boston, as a manufacturer of wire. He has been a member of the Mas�sachusetts Senate, and now resides in Boston. Among his numerous fugitive poems, one on the burial of Mrs. Adoniram Judson, on the island of St. Helena, was set to music by Mr. Heath, and has enjoyed considerable celebrity. Lyman Heath, composer of the music, was born in Bow, New Hampshire, August 24, 1804, and was a noted vocalist and composer. He died in Nashua, which had been his home for thirty-five years, June 30, 1870.